As Brazilian farmers count their soybeans with the harvest in full throttle, the early numbers are coming in lower than last year. Ricardo Arioli Silva, a farmer, agronomist and occasional guide for hapless Americans trying to navigate Mato Grosso, said expectations for Brazil’s largest soybean state were high coming off last year’s production, but the early returns from short-season variety soybeans are disappointing to farmers. “After last year’s yields, farmers are a little disappointed,” Silva said. He attributed the early decline to farmers planting a short-season 95-day variety, then having November weather that was more overcast than normal. Campo Novo do Parecis is an agricultural city of about 35,000 people in south-central Mato Grosso. The city has grown with the region’s farmers and most of the people in town working in one way, shape or form for an area farm operation, grain elevator, cotton gin or equipment provider. Right now, soybean trucks are moving constantly down the main highway in the area, BR-364. As of last week, Mato Grosso was about 40% harvested, but being slowed down by rains. The area around Parecis faced sporadic showers both Tuesday and Wednesday, with that pattern expected to continue. Mato Grosso produces about 25% of Brazil’s overall soybean production in a given year and was expected to pull in more than 32 million metric tons (mmt) (1.18 billion bushels) this year. In December, analysts were forecasting record soybean production for Brazil, with USDA’s World Agricultural Supply and Demand estimate coming in at 122 mmt, or 4.48 billion bushels (bb). Now the trade range leading up to Friday’s WASDE report is Brazil will come in between 114 mmt to 119 mmt, or between 4.19 bb to 4.37 bb. “Everybody right now is talking about the difference between the yields this year compared to last year,” said Antonio Cesar Brolio, the county president of the local Rural Syndicate, a Farm Bureau-type organization across Brazil. Brolio farms 2,160 hectares (5,335 acres), all of which are planted to soybeans on his first crop. Brolio’s first soybeans harvested came in about 47 bushel per acre (bpa), a little below the early yield last year. With about 60% of his crop harvested, Brolio thinks he will come in about 54 bpa overall, down from a 62 bpa yield last year on his crops. Morena’s operation farms 9,500 hectares (23,465 acres) of soybeans, then double crops 5,000 hectares (12,350 acres) while converting and rotating the rest of the acreage for pasture for roughly 4,500 head of cattle that Grupo Morena feeds out each year. Most of his double-cropped acres this year will be corn, but he is also starting to grow cotton this year as well. 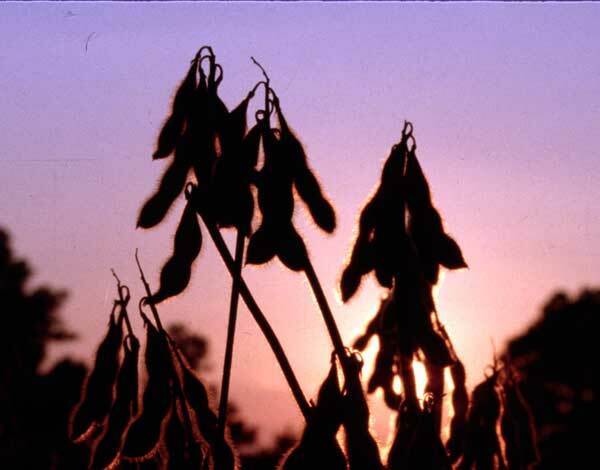 As of this week, Morena’s soybean crop was about 60% harvested and averaging 61 bpa. Morena said he didn’t think he had some of the problems other farmers in the area have had with yield, because he planted a longer-growing variety of soybean. A common perception is Mato Grosso farmers often have to sell at harvest because they lack storage. But Morena, over time, has built enough large bins on his farm to hold 1.3 million bushels (mb). He saves money on freight by delivering to his own operation at harvest rather than the elevator. Buyers will then come to his place. The storage also helped him take advantage of the higher prices being offered to Brazilian grain buyers by China last year, which were then bidding against each other for Morena’s beans.